The ASEAN Football Federation (AFF) announced on October 31 that Vietnam will host one of the two ASEAN futsal championships in 2017. The tournament will be held in Ho Chi Minh City in November next year. It is also considered the preliminaries for the Asian Futsal Championship 2018. Meanwhile, another tournament is slated for January 2017 to replace the ASEAN Futsal Championship 2016, which was cancelled as no suitable host country was found. The 2016 championship was initially scheduled to take place from October 31 to November 8 in Thailand. However, due to the passing of King Bhumibol Adulyadej, Thailand decided to cancel all entertainment activities during one year to mourn the beloved King. After Thailand’s withdrawal, AFF suggested Indonesia and Singapore to host, but both countries refused for different reasons. 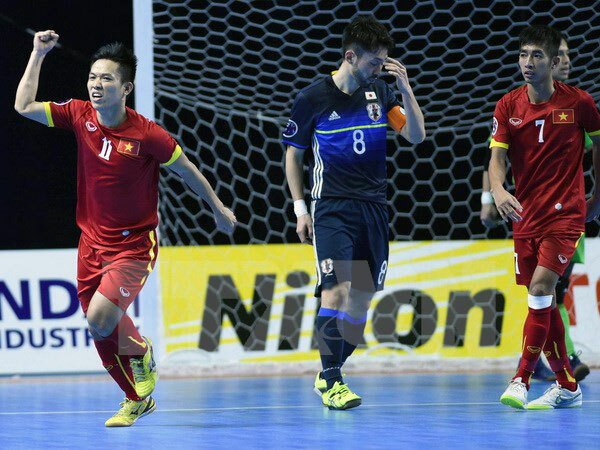 In September, Vietnam’s futsal team made history by earning a ticket to the round of 16 at the FIFA Futsal World Cup Colombia 2016 in its first-time appearance at the event and won the Fair Play award. The goal by Nguyen Minh Tri in the September 11 match between Vietnam Guatemala was chosen as the second best goal of the tournament, voted for by the users of FIFA.com. Earlier, his goal was selected as one of the tournament’s top 10 goals by the International Football Federation (FIFA)./.